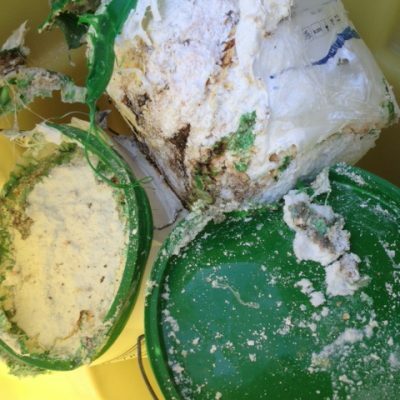 In the first example, a batch of a corrosive and oxidising steriliser product that reacted after some containers were not adequately sealed and allowed rainwater to seep in. 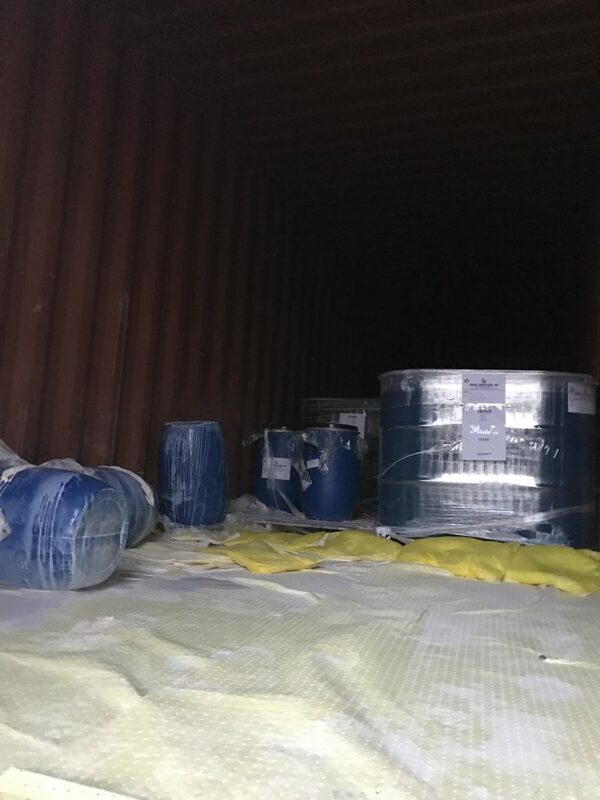 The fire service attended and, under our advice, isolated each of the containers in the pallet and placed the worst affected into an overdrum for disposal. We then arranged for a response team to collect and dispose of the rest of the affected batch. 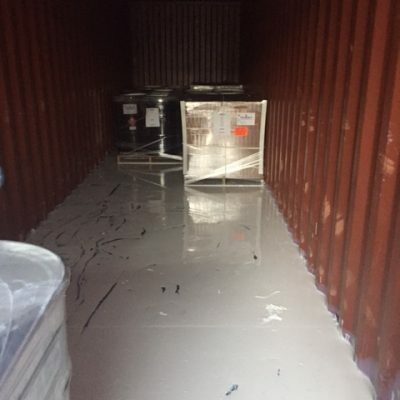 In the second example, a container arrived in Liverpool port leaking chemicals. 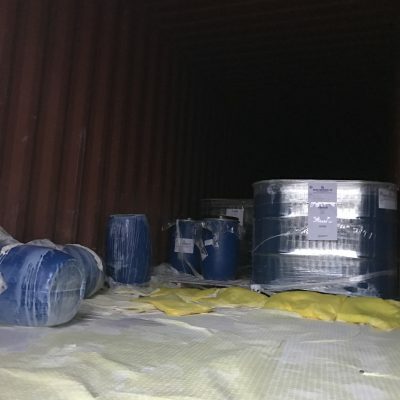 The container was put into a quarantine area while the owner of the goods tried – initially in vain – to get someone to assist. 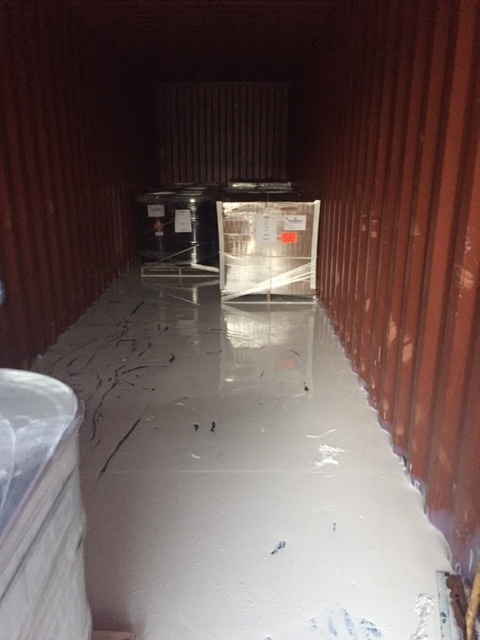 Days passed before eventually the container could be emptied, the spill cleared up and the container repacked. 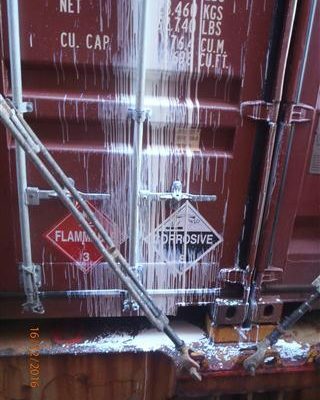 The shipping line faced a compensation bill from the owners of the cargo that was delayed by the spill as well as a costly clean-up. 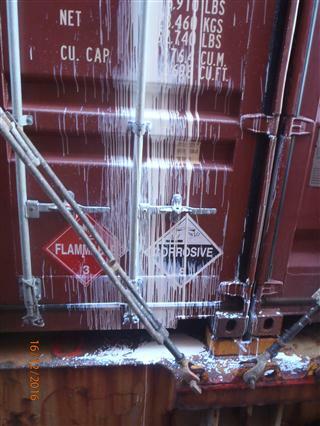 After making a number of enquiries, the 24-7 Emergency team was appointed to deal with the spill. 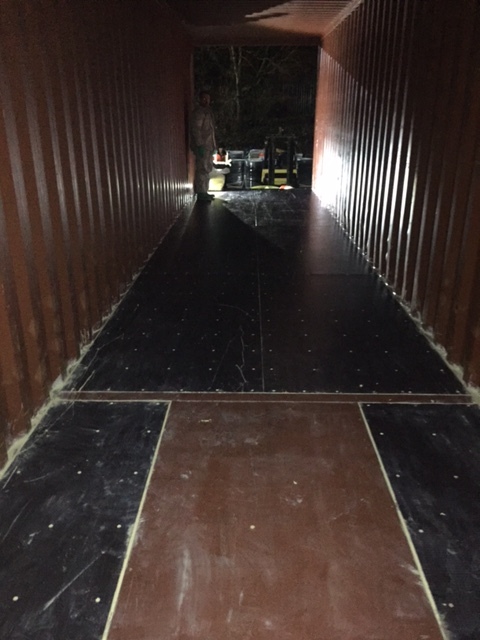 We arranged for the container to be emptied, cleaned up and repacked (correctly) – ensuring the necessary paperwork was completed. 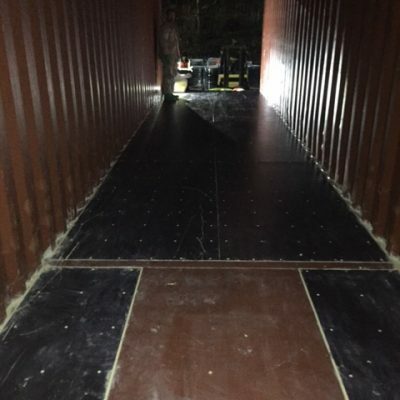 While the outcome was successful, if the owners of the goods had been able to contact the right people promptly, then the unnecessary delay (and associated storage costs) could have been avoided.